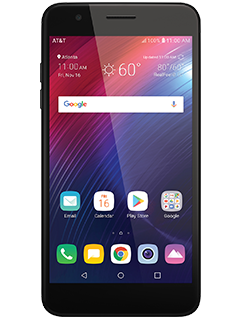 The LG Phoenix® Plus is a smartphone designed to impress. One that looks and feels great. One with a sharp, quick 8 MP camera for people who love to create memories, have fun, and live in the fast lane. The LG Phoenix® Plus has you covered. Enjoy your favorite DIRECTV® live and recorded shows,1 photos, and more on the 5.3" HD screen. Use your fingerprint to open your phone quickly and easily. Capture every moment with instant focus and zero shutter lag.